We all have special collections with special needs. Now you can create visual browse and search experiences on your own terms, and include them in your overall discovery strategy. 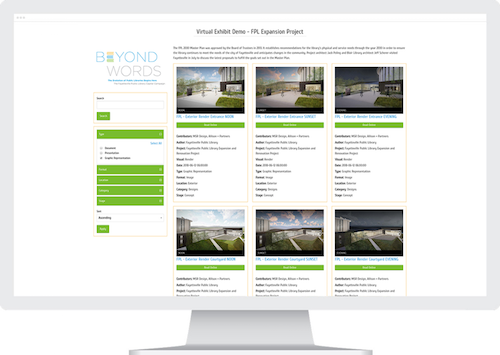 Brand Individual Collections Collections can be themed separately from your website, ensuring your Virtual Exhibits are true to the brand of the particular Collection. Card Style Layout Visual browsing of special collections creates a whole new opportunity to showcase those beloved memories. Create Custom Exhibits You deserve the ability to curate digital exhibits/displays of your collections the same way you would a physical exhibit. Now you can!